Would you wear a garment knowing that it contains fur from animals that agonized for hours and suffered horribly before dying? It seems that thousands of people are saying “yes” to this tragic situation; and they are Canada Goose customers. 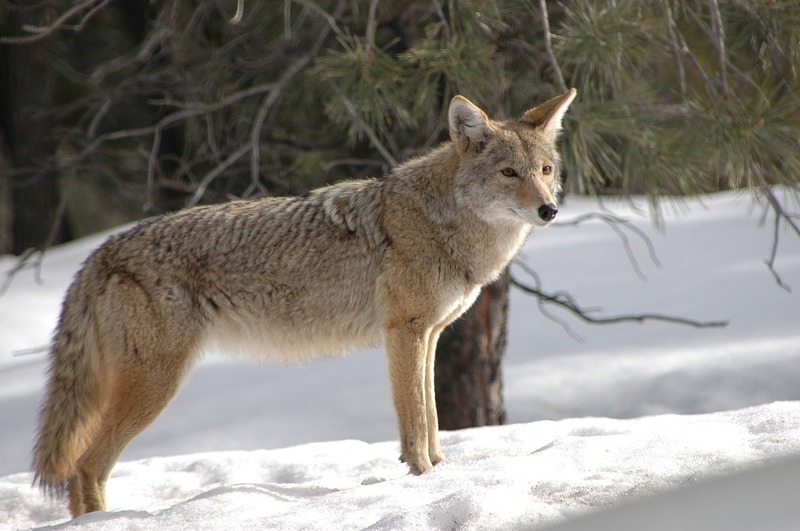 You may not know this, but the producer of one of the most expensive and sought-after winter jackets uses fur from several different animals like coyotes, which are killed in gruesome and inhumane ways. Canada Goose makes a big deal out of the fact that they use local trappers to source part of their fur. The WHS currently follows the Humane Canada™ position on trapping. We recognize the right of our Indigenous and Métis Nations to honour their culture and heritage; and we understand the fact that our Province and our country were built on fur trade. Where trapping is carried out by our traditional communities, the WHS accepts only the use of trapping devices that cause prompt irreversible loss of consciousness leading to death. The WHS, as the entire Humane movement in Canada, opposes restraining traps that are designed to hold an animal by a limb or other body part. Cages and other methods are equally cruel and not required. The Winnipeg Humane Society acknowledges that there is no trapping method which eliminates animal suffering completely. We hope that trapping will be a cultural tradition passed on to future generations, and be respected as such. But we also hope that other economic models will emerge very soon so our remote communities won’t depend on trapping to make a living. What is wrong with Canada Goose partnering with trappers? After all, it is a nod to our history and cultural traditions. Unfortunately, this a very small portion of the fur this company uses. Canada Goose is a commercial entity selling thousands of coats and they do not know how each individual fur has been sourced. As an article in the magazine Newsweek states, when you purchase a Canada Goose jacket there is no way to know if the real fur in it has been sourced from a humane trap, or the degree of animal suffering. All this so that we can wear a very expensive piece of clothing. The fact is that there are alternatives to fur, which are both high-tech and very warm. You can still have an exclusive garment while avoiding animal suffering. Canadian companies such as Save the Duck, Wuxly, Biannual, Hoodlamb, Frank and Oat or Noize all have cruelty-free and environmentally responsible winter parkas rated to withstand our cold climate. Mountain Equipment Co-Op also has suitable options, but you may want to check and ask about the materials used to ensure it is environmentally sustainable. The Winnipeg Humane Society asks our supporters to avoid purchasing garments from Canada Goose until they transition to animal-free garments. It is time for Canada Goose to stop using real fur. They can send a clear message against animal cruelty, find ways to support the economy and well-being of our Indigenous and Métis communities, and stop turning a blind eye to the issue. Go cruelty-free. Let’s stop animal suffering just for vanity.